My grandson’s room is small but it had an interesting recess along one wall. When they bought the house there was a small homemade desktop in that space. 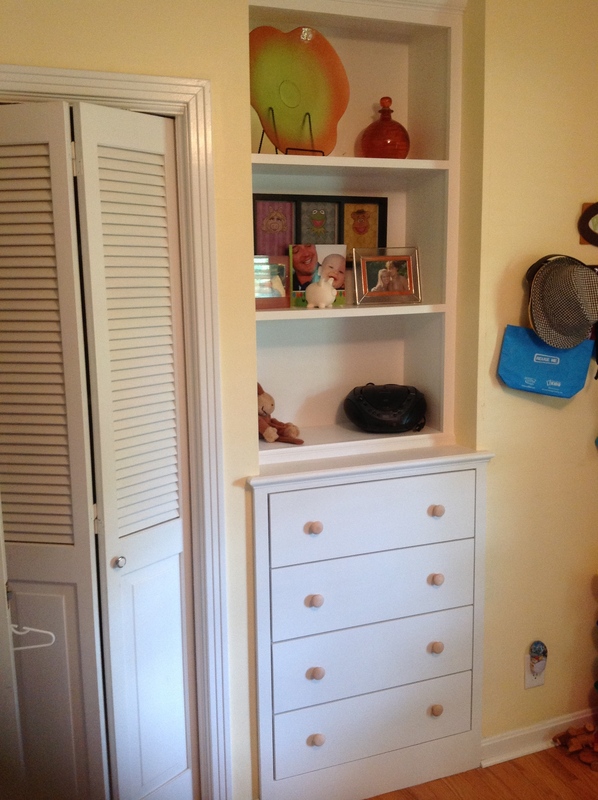 I removed that and built an upper bookcase and built a set of drawers to go in the lower space. This allowed them to remove the standing chest from his room, re-claiming some valuable floor space.